Don’t we all want to hibernate in winter? Snuggling up in a cosy duvet and settling down to sleep always seems more appealing in the colder months. However, while you’re snoozing away, “sleep wrinkles” could be sneaking up on you! It may be one of the most often-overlooked causes of wrinkles but, if altered, the position in which you sleep can help to prevent wrinkles from forming. The idea of “sleep wrinkles” is often considered to be a beauty myth, but sleep wrinkles are recognised as a dermatologic reality. In fact, the American Academy of Dermatology supports the idea that sleeping in certain positions will increase and cause wrinkles. Sleeping on your side or with your face down on your pillow can cause wrinkles to form, while sleeping on your back can prevent the formation of wrinkles. The reason for this has to do with two other causes of wrinkles: repetitive motion and gravity. Repetitive motions can ultimately lead to wrinkles over time; e.g. expression lines around your mouth and crow’s feet around your eyes. When you sleep on your side or with your face down into the pillow, you “push” your skin into positions in a way that is similar to repetitive facial motions. Gravity also plays a role in the development of wrinkles. As skin loses its firming collagen and becomes looser, the life-long push of gravity downward leads to the appearance of wrinkles or sagging skin. When you sleep on your side, you allow gravity to push your face to one side or the other, causing the wrinkles on that side of your face to appear deeper. When you sleep on your back, you don’t push your face into wrinkled positions and gravity pulls your skin back away from your face rather than towards the centre of it. While the repetitive motions of sleeping positions and the impact of gravity are the lifestyle causes of sleep wrinkles, it’s the natural breakdown of collagen and elastin as you age that really makes the lines appear. While you most likely have slept in the same position for most of your life, you’re unlikely to see the first appearance of sleep wrinkles until you are beginning to see the signs of ageing skin throughout your body. Why is that? It’s because while you sleep, wrinkles are forming throughout your life, they become defined and apparent as your collagen and elastin breakdown. Elastin is the skin protein that makes skin smooth and allows it to “snap back” from positions. Collagen is the protein that’s responsible for supporting skin in order to make it appear firm and full. As you age, genetics, UV damage, environmental factors and the hormonal shift for women associated with menopause all work to deplete your collagen and elastin. When this happens, your skin becomes looser and wrinkles that have been forming over time become more visible. This is the first-ever product to penetrate the skin’s surface with pure collagen! After the age of 20, a person produces about one percent less collagen in the skin each year. This product combats the break down of collagen and keeps skin plump. This product is available exclusively from QVC in January 2014. Tune into the show on Friday 17th January. 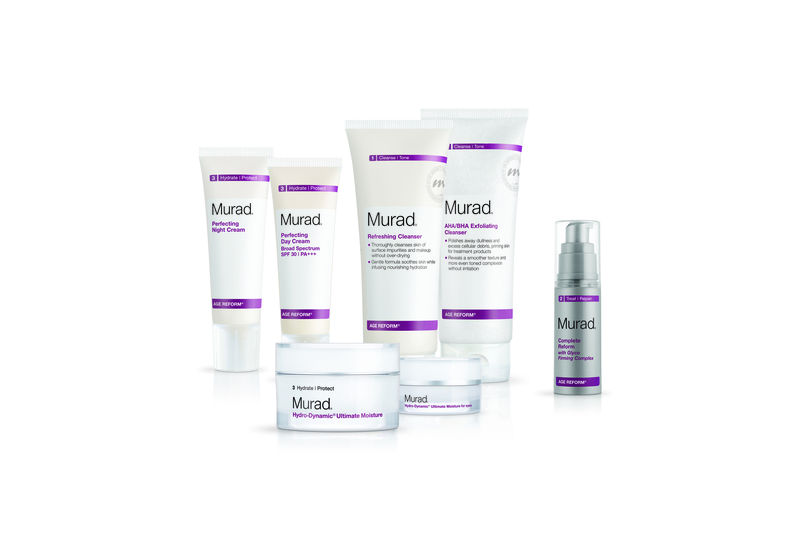 It will be available at www.murad.co.uk from February 2014. Look Better: Anti-ageing products are a vital part of any anti-wrinkle regime. Develop a personalised anti-ageing skincare regime that combines products that hydrate with those that support the production of collagen. 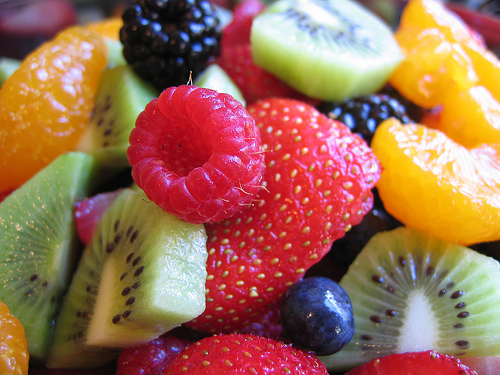 Live Better: Healthy skin begins on the inside, and the most effective form of youth-building is via diet and nutrition. Staying hydrated by eating your water daily in the form of fresh fruits and vegetables as well as embracing a diet that’s rich in Essential Fatty Acids and antioxidants will improve not only the youthfulness of your skin, but also of your body. Feel Better: Your stress levels and your sense of self have an overwhelming impact on the health of your body and your skin. Learning to control Cultural Stress® and taking time for you can improve the health of your body and its largest organ, the skin! 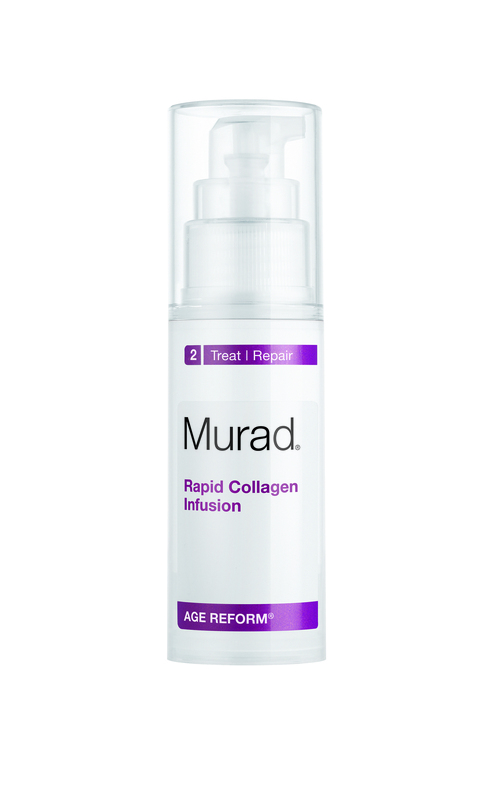 This entry was posted in Anti-ageing, Emotional Wellbeing, Internal Health, Topical and tagged anti-ageing, expression lines, fine lines, sleep, sleeping wrinkles, wrinkles by muraduk. Bookmark the permalink.